New MacBook Pros don't have a SD card slot anymore. You'll need an adapter compatible with USB-C. The lack of an SD card slot on the 2016 and 2017 MacBook Pro is an inconvenience for photographers of all stripes who shoot with cameras other than the iPhone. The answer—as with everything else that needs to connect to the USB-C–only MacBook Pro—is an external USB-C SD card reader. But which one? As you would expect, third parties have rushed to create adapters for everything, including memory card readers. And to no one’s surprise, the quality, specifications, and prices are all over the map. We tested six adapters that stood out among the field based on online reviews, word of mouth, and design. 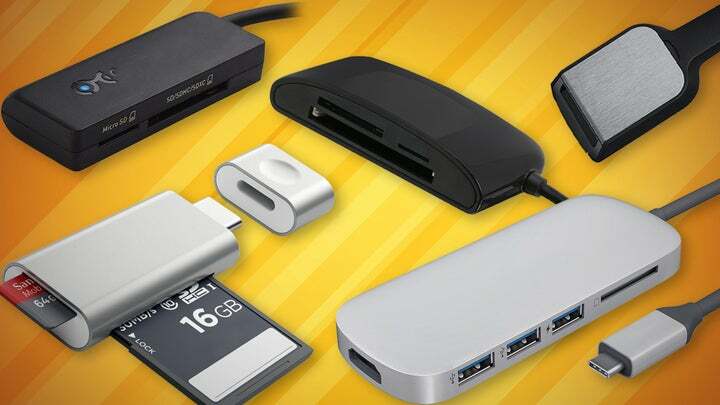 All of the adapters read and write to SD cards, and we tested one model—the IOGEAR USB-C 3-Slot Card Reader/Writer—that also accepts larger CompactFlash (CF) cards still used by some high-end cameras. Choosing which reader is best for you depends a lot on what you need and how much you’re willing to spend. For most people, that could turn out to be one of the least expensive of the bunch. Before you view the picks, you may want to consult our SD Card explainer to understand the stew of acronyms and jargon the industry uses to describe memory card storage and speed. The SanDisk Extreme Pro UHS-II USB-C Reader is pricey ($49 on Amazon, and unlike the other adapters we tested, it has just a single SD card slot—no microSD, CF, or USB-A ports to extend its versatility. On one hand, the speed is due to its UHS-II compatibility, transferring up to a theoretical 312 MBps from UHS-II memory cards that include a second row of contacts from which to read data. In our real-world tests, we recorded an average throughput of 195.45 MBps for photos and 267.67 MBps for video; the latter’s increase is due to the reduced amount of overhead needed to copy nine files versus 684 files. That said, even when copying from more common UHS-I cards, which top out at a theoretical speed of 104 MBps, the SanDisk Extreme Pro UHS-II USB-C Reader bested the other adapters we tested. It copied our suite of photos at a rate of 86.68 MBps and video at 101 MBps. We also liked the fairly compact design, with its bendy neck and minimal footprint, although the angle of the case where you insert the SD card makes extracting a card less elegant than needed. But if you’re shooting with a camera that works with UHS-II cards and you need the fastest copy turnaround, the cost is worth it. 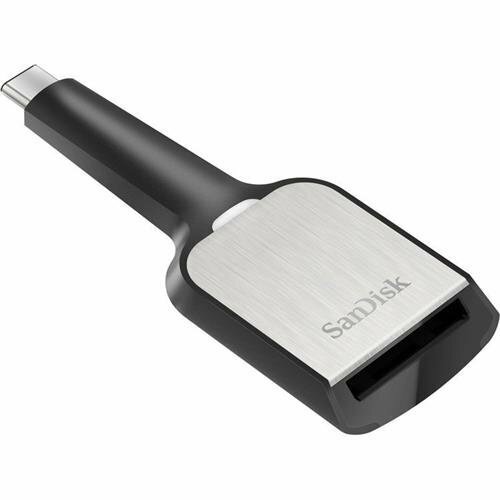 If you’re willing to give up a few seconds and don’t want to pay a premium for speed, the Verbatim USB-C Pocket Card Reader is nearly as fast as the SanDisk Extreme Pro when copying from UHS-II cards and costs just $17 on Amazon. In our testing, we found an average throughput of 179.36 MBps for photos and 221.89 MBps when transferring video files. 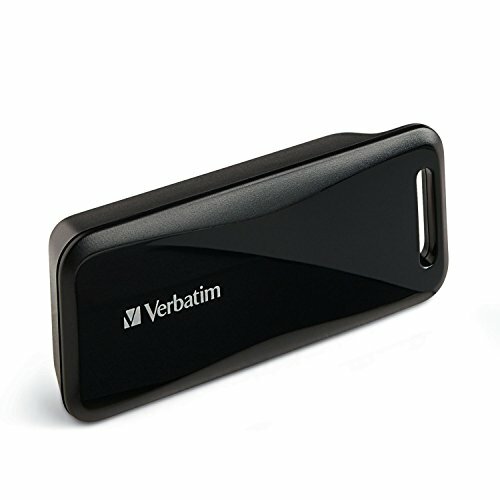 The Verbatim reader is a little more bulky, and sports a short cable for the USB-C plug, but it also features slots for SD and Micro SD cards. What if, like most current photographers, you’re not yet capturing to UHS-II cards? For an adapter that has a great combination of price and performance, we like the Cable Matters USB 3.1 Type-C Dual Slot Card Reader ($12 on Amazon). We expected to run into tradeoffs at this price, but the Cable Matters adapter was almost as fast as the SanDisk adapter. Our photos transferred at 82.17 MBps, while videos zipped along at 95.6 MBps. The adapter has dedicated SD and microSD card slots that can be used simultaneously, and a discrete LED to indicate the adapter is getting power. With dimensions of just 2.8 x 5.4 x 0.5 inches and a 6-inch cable, it doesn’t add bulk to any bag. If you don’t need UHS-II compatibility, the Cable Matters USB 3.1 Type-C Dual Slot Card Reader is the one to get. We copied two sets of photos and videos from a SanDisk Extreme Pro SDXC card rated at 95 megabytes per second (MBps). For photos, we timed three transfers of 12.9GB of JPEG and raw images (684 files) and averaged the results. For video transfer, we copied 31GB (9 files) from the same card. We also copied the same files using a SanDisk Extreme Pro SDHC UHS-II card rated at 280 MBps to test the difference that UHS II compatibility affords. And for the CF reader, we used a SanDisk Extreme CF card rated at 120 MBps (UDMA 7) to copy 7.7GB of JPEGS (402 files), since that card’s capacity maxed out at 16GB. All of the testing was done on a 2016 MacBook Pro with TouchBar equipped with a 2.7GHz Intel Core i7 processor, 16GB of RAM, and a 1TB SSD. We used the Image Capture utility to facilitate the transfer of photos, and copied the video files using the Finder. If you really need the top speeds afforded by UHS-II cards and devices that read them, we recommend the SanDisk Extreme Pro UHS-II USB-C Reader. 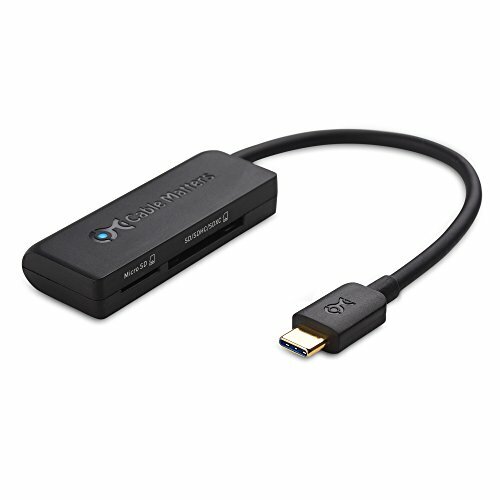 For everyone else, however, our favorite USB-C memory card reader is the Cable Matters USB 3.1 Type-C Dual Slot Card Reader. It’s fast, small, and inexpensive—the attributes you want so you can spend your time and money on capturing photos. To read the full reviews of each product we tested, click the product name in the list below, and then click the “Read the full review” link that appears.